Designed to securely hold smaller10.8-18V drivers. Doubled layered nylon with reinforced webbing. 4 small pockets for accessories and bit holders. Adjustable strap with quick release buckle. Fits any belt up to 70mm wide. 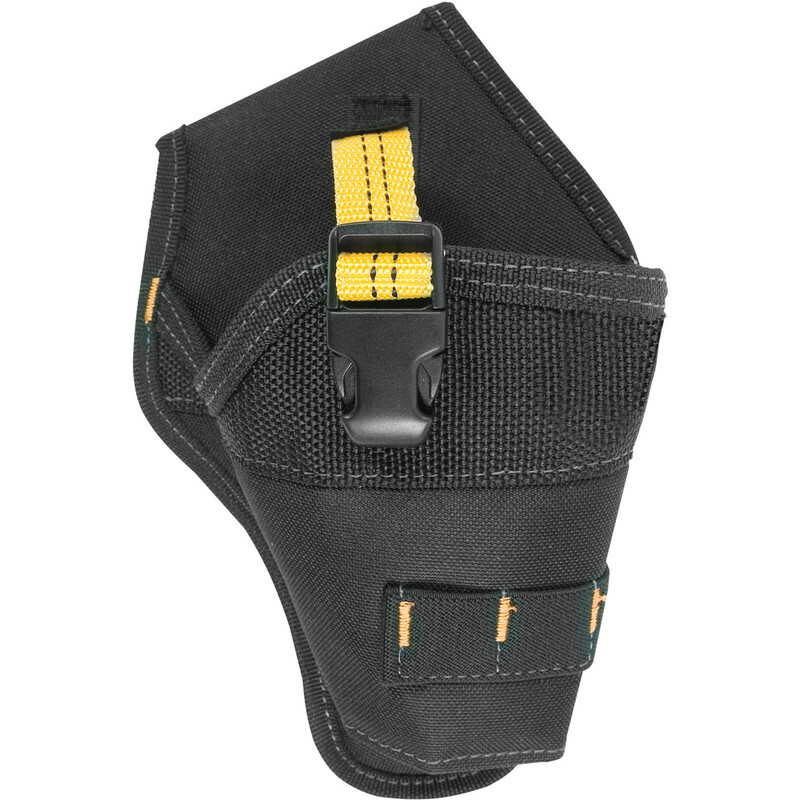 Kuny's Impact Driver Holster is rated 5.0 out of 5 by 1.